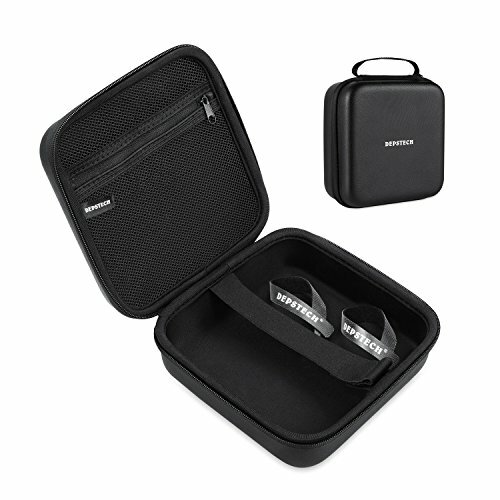 Generally, This carrying case is portable, lightweight, waterproof, convenient to carry with, which is a protective and effective pal for your endoscope/borescope to explore unknown and hard-to-reach view. Adopting EVA material in the exterior, durable in use and waterproof from water-drops and raindrops. Big weaved mesh pouch holds the accessories completely, separated from the camera and the cable. Hook and loop tapes fix the cable, avoiding entanglement and chaos. These are capable of getting rid of disordered items thoroughly. Smooth and durable zipper helps to place your endoscope more safely and easily. Fully compatible with borescope and endoscope from Depstech, Goodan, Shekar, Pancellent, Fantronics, and Sokos. At Depstech, we guarantee our customer with 1-Year Free Limited Warranty. Any inquires or questions are warmly welcomed in our store. 【Customized Carring Case for Various Kinds of Endoscopes】Originally and Carefully designed carrying case for endoscopes by Depstech, suitable for Depstech WiFi & USB endoscopes with cable length not exceeding 10 meter, but compatible with other brands like Goodan, Shekar, Pancellent, Fantronics, Sokos. It will be a solid protection for your endoscope and lens from accidental crash wherever you go! 【Mesh Pouch, Elastic Strap Holder & Hook and Loop Tapes for a Tidier Bag】Featuring with special details, the long and semi-rigid cable will not mess with your camera lens or other accessories including hooks, mirrors and magnetic any longer. 【High-end Waterproof Materials 】The exterior adopts premium EVA material which is water resistance.That extends the occasions for the product to outdoors ! 【Easy carry but a Powerful Guard】Lightweight and convenient to carry, able to be placed in your backpack or held in your hands, keep your endoscope well stored without damages.